My love for pumpkin is fairly recent (since I was 19), but it is nevertheless a love for the ages. It is an epic love. I don’t love pumpkin in the way that some girls love Pumpkin Spice Lattes at Starbucks, the kind of love where a cup of the PSL every week or so keeps me happy. 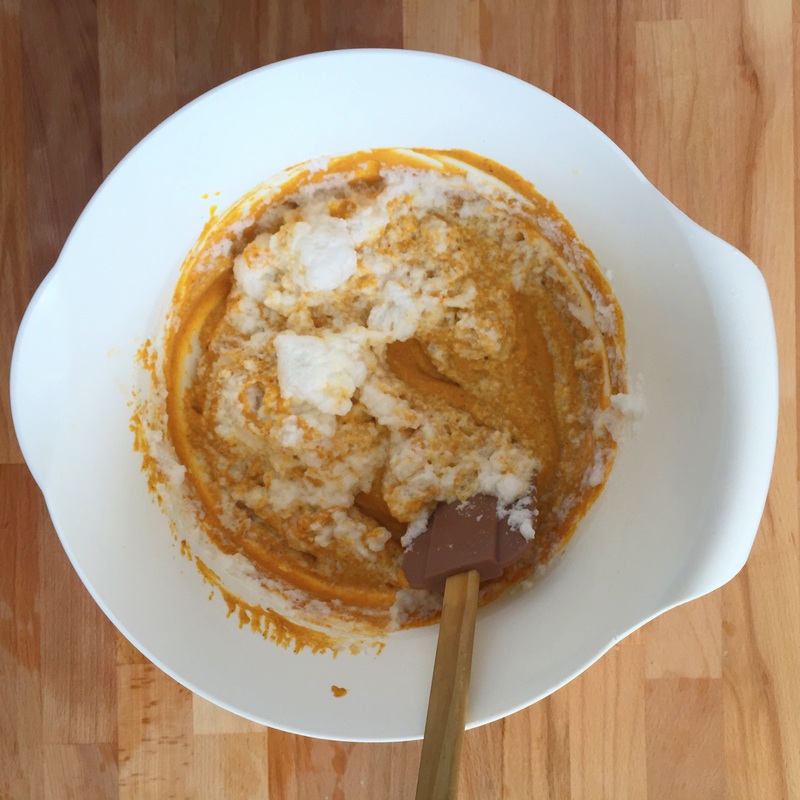 No, I love pumpkin in the way that is shared by many a fellow dietitians, the kind of love where I want to shove pumpkin in every baked item I can make from September until April. However now that I’ve moved to Sydney where the seasons are flipped, I look forward to pumpkin all year round because it’s always nearly autumn somewhere in the world. I love pumpkin in that crazed, fanatic way that I love hockey, and thus I must share with and educate my fellow Aussies about how amazing both are. 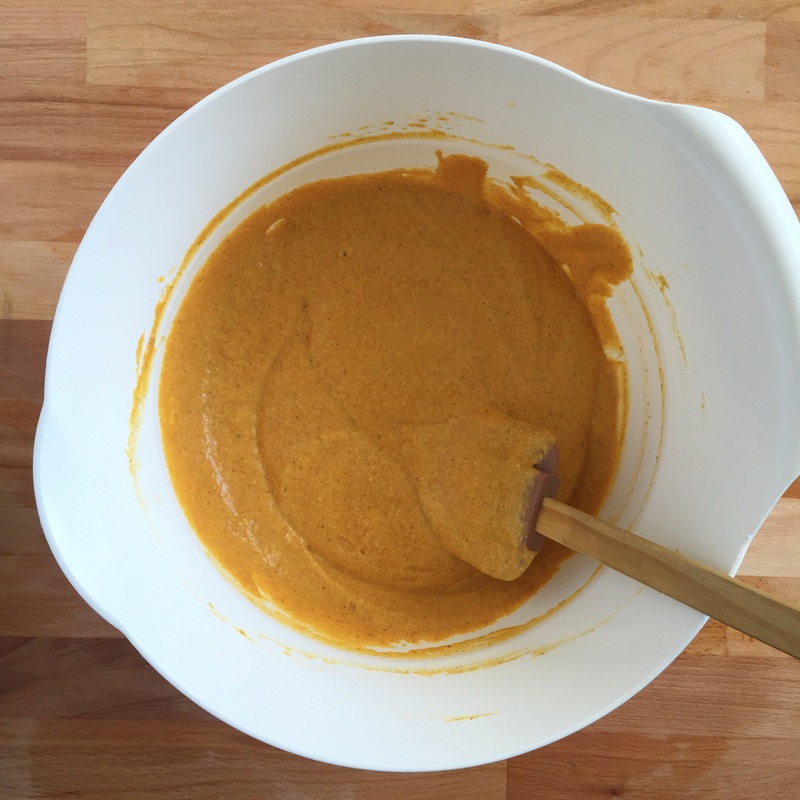 I’ve been using a roasted Kent squash puree in place of my usual pumpkin puree, but I just received my shipment of canned pumpkin puree so It. Is. On. 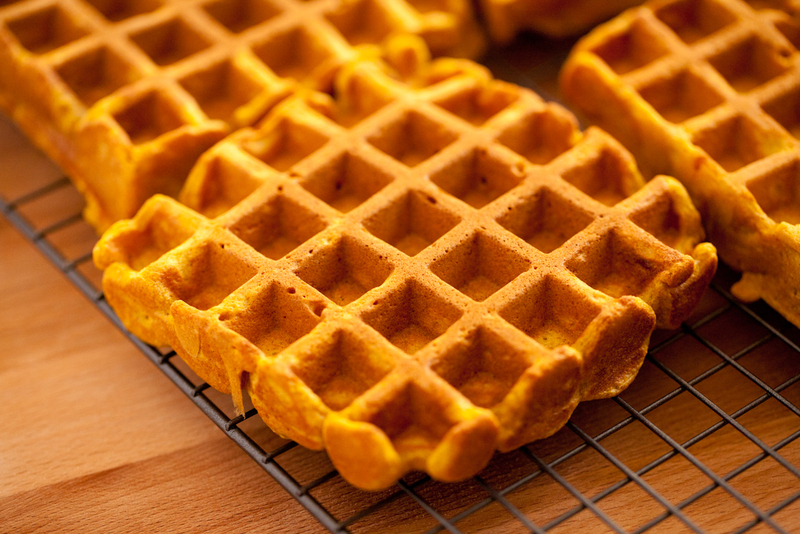 This blog may be taken over by variations on two things, pumpkin and waffles. You see, we recently purchased a ridiculously over the top waffle machine and it’s sitting on our dining room table. Anh couldn’t have been more excited when we bought it, and now after several uses I’m pretty impressed with it myself. We’ve found a buttermilk waffle recipe that we love (it’ll be featured on another post) but yesterday I wanted to try something different. 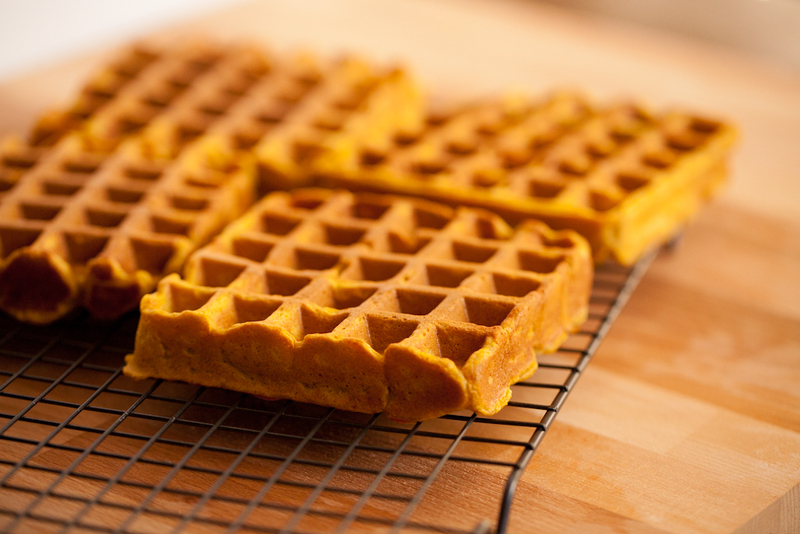 There was 1 cup of puree left from making the pumpkin loaves last week so I put that to use making these pumpkin waffles. This is the recipe I used and I’ll just link to them directly as I followed it nearly word for word (except there was no whole milk in the house and I substitute lower fat milk all the time in baking and it’s never been missed) and they turned out great. 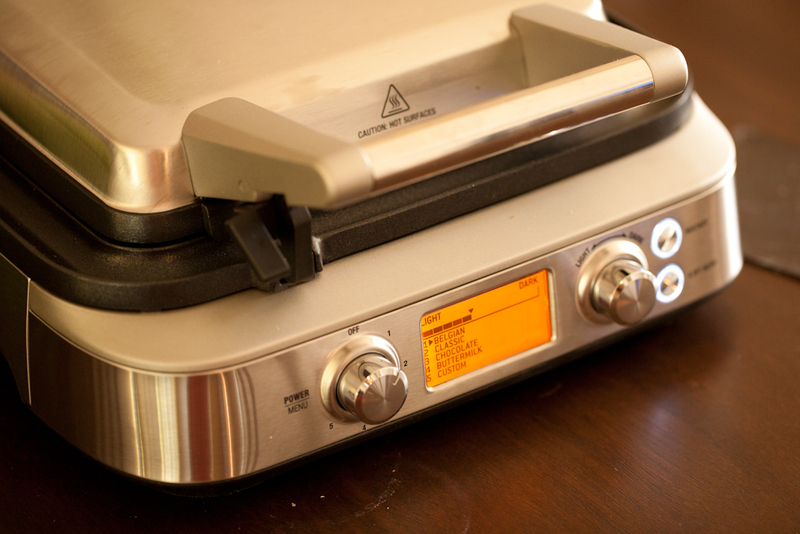 Do cook the waffles to spefications in your own waffle iron as they all differ though. 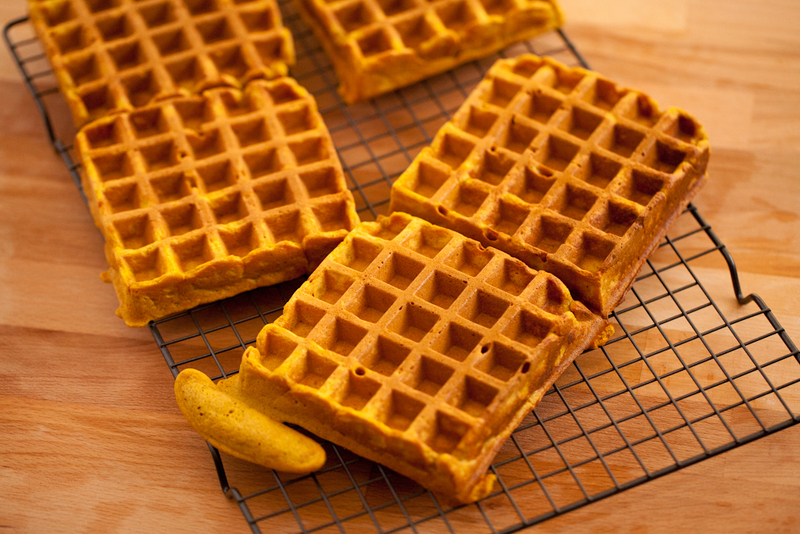 These were a breeze to make and had all the traditional spicy flavours of a pumpkin pie in a waffle. The outside was crisp and the inside was even a little bit custardy when cooked. They were also great re-toasted in our mini oven for an after dinner snack. 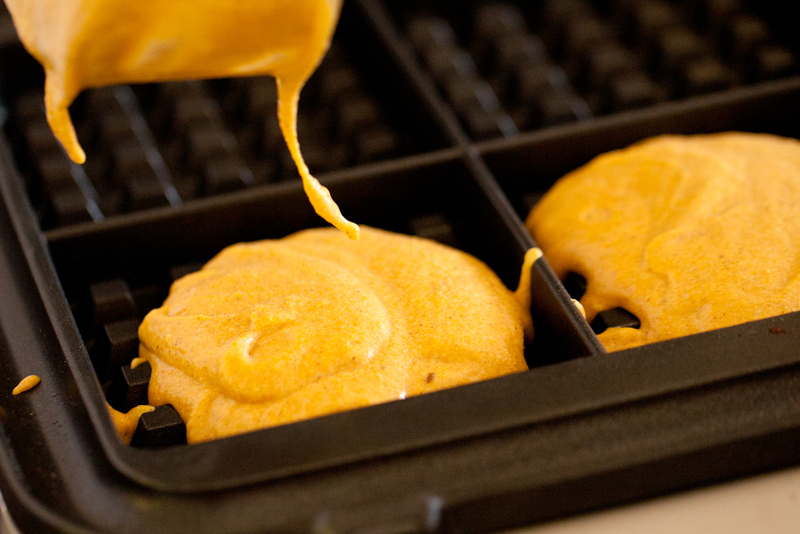 If you love waffles or pumpkin this recipe is a must try. 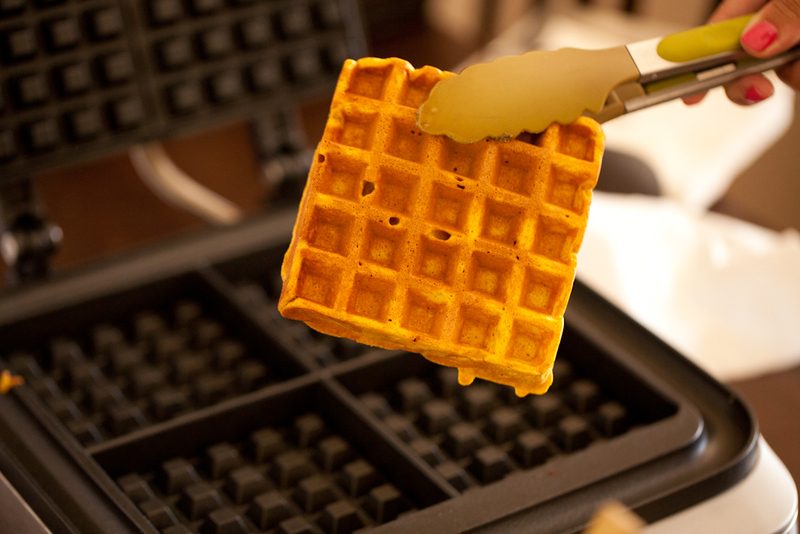 Select your type of waffle, select how dark you want it and it calculates how long to cook perfectly! 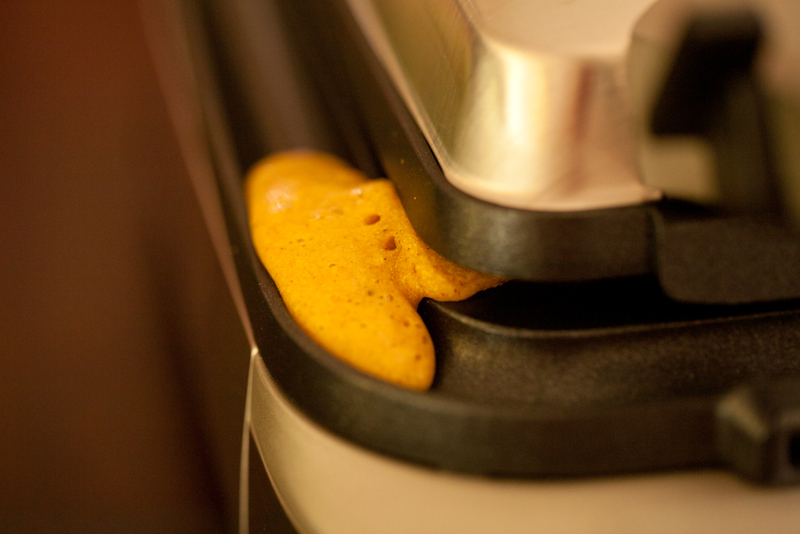 The “no mess moat” that catches batter overflow and cooks it so there’s no waste! 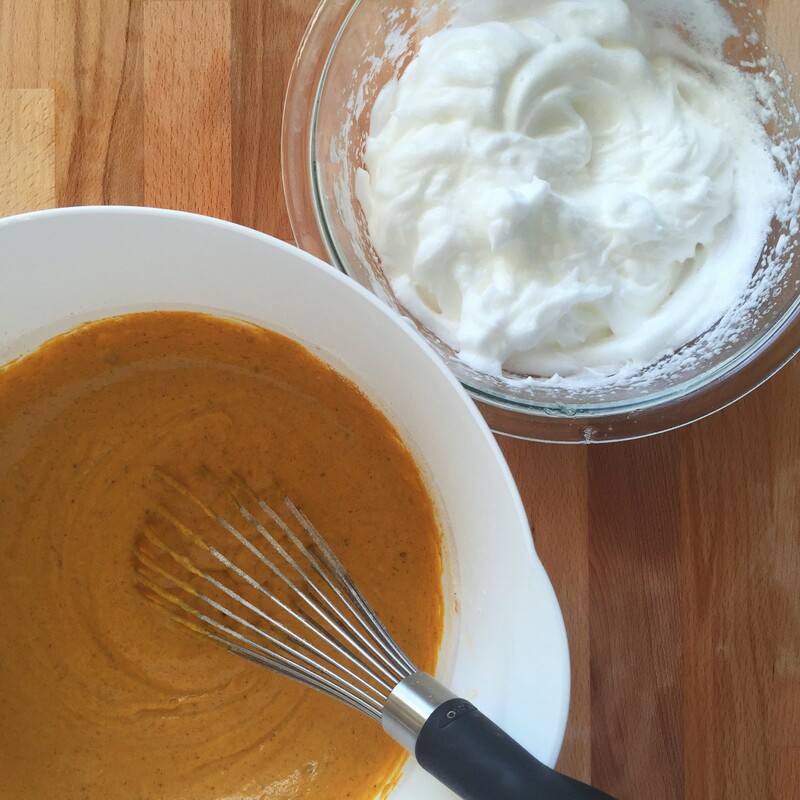 Serve with pumpkin butter, a touch of maple syrup or just enjoy the pumpkin flvaours on their own!